In today’s business environment, where the world has moved from mainframes to multi-tiered architecture to mobile & cloud based computing, organizations have been catch up with these technological transformations in order to meet costs, maintain competitive business edge and align with their business needs. A flawless IT infrastructure services plays a crucial role in business management. It helps an organization set up a perfect framework to take control of the overall IT costs, enhance the system security, and improve the operational ability. At 3S, we understand the necessity of making a perfect IT infrastructure that’s efficient, effective, and frequently updated, to meet the ever-changing business needs while operating under a secure setting. 3S has an extensive arrangement to enable the delivery of superior, real-time, 24×7, resilient, and secure IT infrastructure services to clients across various industries. 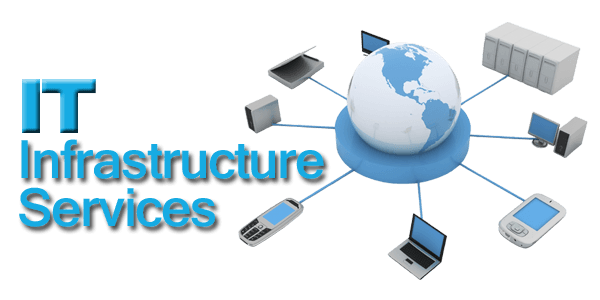 3S’s IT Infrastructure Services include end-to-end, effectual, and dependable IT Infrastructure solutions that are just right for you, can transform and take your business operations to the next level, without compromising on the quality. At 3S we always make sure to provide faultless IT infrastructure management platform that is cost effective, reliable and cutting edge.